Practice Greenhealth leads and supports a growing list of initiatives commited to the goals of our organization, furthering our commitment to sustainable, eco-friendly practices. 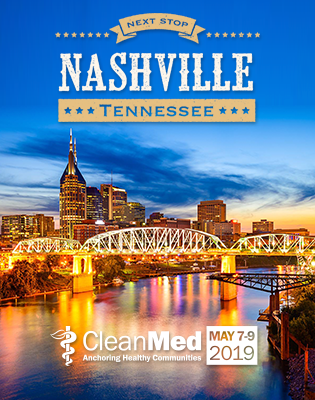 These initiatives help educate, motivate, and engage healthcare professionals to adopt best environmental practices that increase operational efficiency and support environmentally sustainable systems that improve the health of patients, staff, and the community. The Greenhealth Energy Alliance is a collaboration between leaders in clean energy and Practice Greenhealth focusing on best practices for energy efficiency and renewable energy implementation in the health care sector. This initiative seeks to improve energy practices to reduce hospital expenses while improving patient and staff comfort and the quality of health care delivery. The Greening the OR™ Initiative was launched by Practice Greenhealth in April, 2010, to help the healthcare industry generate cost savings, maintain worker and patient safety and, most importantly, reduce the environmental footprint of our nation’s operating rooms. Practice Greenhealth has announced the formation of the Greening the Supply Chain™ Initiative. The Initiative extends Practice Greenhealth’s leadership role in supporting hospitals and Group Purchasing Organizations by engaging businesses in the demand for more environmentally preferable products (EPP) within health care facilities, GPOs and in the business marketplace. The Healthier Hospitals Initiative is charting a path to a healthier, more sustainable and more cost effective healthcare system.